LA County Workers: "We Will NOT Settle For Less!" 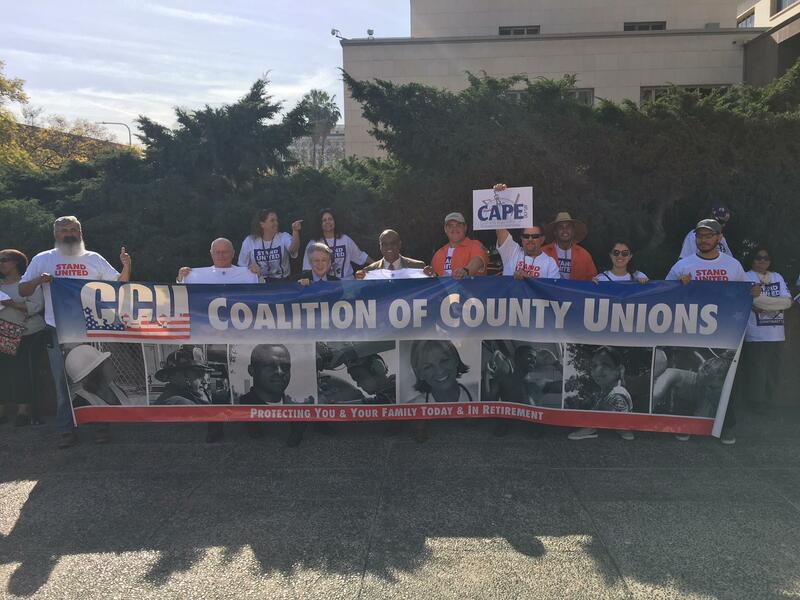 The Los Angeles County Board of Supervisors is trying to force a raw deal on AFSCME members and other partners in the Coalition of County Unions (CCU). But Council 36 is fighting back! We are rolling out a comprehensive strategy to dramatically increase the pressure on the County to settle a fair contract on behalf of thousands of AFSCME members in the Choices benefits plan. • In exchange for these reductions, the County has given Options participants a $1,000 bonus, an extra 1% raise and an extra half step increase of 2.75%. But Choices members are being shortchanged with an offer of only a $500 bonus and a 2.75% step. No $1,000! No extra 1% raise! AFSCME members will NOT settle for less than a fair deal. If you are in any of the affected County Unions, please download and print the petition linked below, collect signatures on it from all co-workers in Choices and give to your Steward, your Local President or other Local Executive Board officer either in person or scan and email it to them. For information about supporting LA County workers fighting for equality and justice, download the flyer below, or email erica@afscme36.org.